Vickie M. Malovich 61, of Claysburg, passed away Thursday November 15, 2018 at UPMC-Altoona. She was born October 22, 1957 in Claysburg the daughter of the late William and Shirley (Glass) Weyandt. She married Eric L. Malovich June 5, 1976 in Hollidaysburg. Surviving are her husband, a son Michael of Claysburg, grandchildren DeLana, Danica, and Dakota, her loving aunt Eleanor Martz, brother William (Bobbie) Weyandt, sister Sandra (Brian) White and many nephews and cousin. 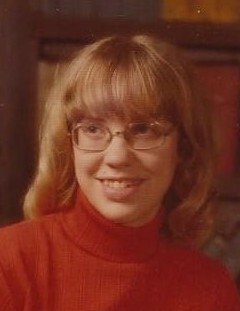 Vickie was a 1975 graduate of Central High School and was a homemaker. She enjoyed going to the beach at Ocean City MD, building fires in her fire pit, spending time with her grandchildren, and her dog Ginger. A memorial service will be held at the convenience of the family. In lieu of flowers, memorial may be given to the Funeral Home.